Richard McConnell grew up on a dairy farm near Republic, Missouri. In 1980 he graduated from the University of Missouri-Columbia with his B.S. in Agriculture Education. He received his Masters in Ag Ed in 1983 and taught Vocational Agriculture for 13 years in Odessa, Missouri. 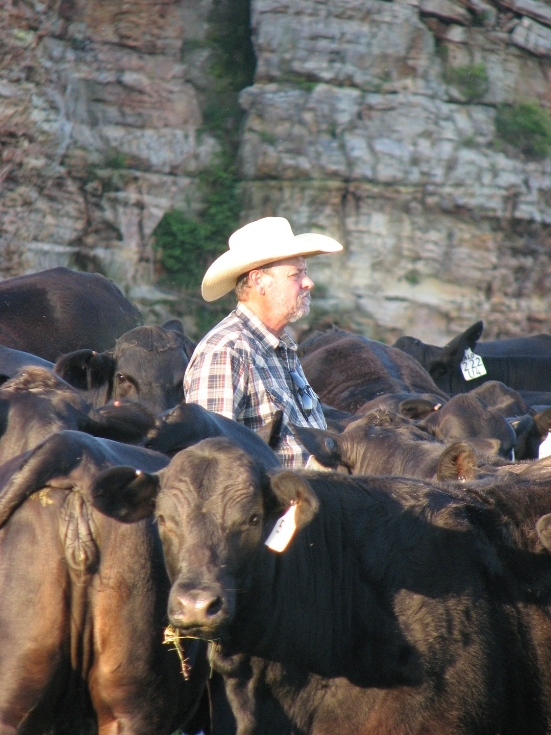 In 1993 Richard bought a farm in Polk County, Missouri where he currently runs a profitable cattle operation. Using stockmanship, Richard and Tina are able to manage the herd to utilize forages ready for harvest, train newly received stocker calves, weigh animals with ease, and sustain herd health. Tina Williams was born in northern California and lived on various ranches through that area with her parents, Bud and Eunice Williams. As an adult, she lived in California, Oregon, and Alaska before moving to Missouri in 1982. From 1990 through 2000 she managed a farm with cattle, hair sheep, dairy goats, and pastured hogs. In 2002 Richard and Tina met and ultimately married. They shifted their stockmanship skills from “doing” to “teaching” through attending many Bud Williams Stockmanship Schools. They have presented Stockmanship Schools of their own from Saskatchewan to Louisiana and from Montana to West Virginia since 2005. If you are interested in having Tina and Richard do a training in your area or do private consulting with you, contact them through their website at http://handnhandlivestocksolutions.com. Richard also recommends purchasing the DVD produced by Bud Williams which you can find HERE. Here is the DVD that Tina and Richard did with the Farm Animal Council of Saskatchewan. You can find more videos on Tina and Richards YouTube channel HERE. Here is a video of Richard speaking at the Powerflex Fence open house this year.